Although SNK’s Neo Geo is perhaps best known for its dreamy array of one-on-one fighters, beat-‘em-ups, and shooters, the arcade marvel also played host to an impressive parade of puzzle games, from classics like Puzzle Bobble to deep cuts like the oddly addicting currency-converter Money Idol Exchanger. 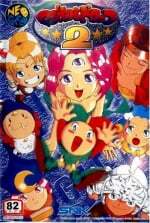 If there’s a series that stands out among these as the quintessential Neo Geo puzzle game, however, it might just be Data-East’s Magical Drop: quick-paced, colourful quarter-munchers with amazing potential for competitive play. Now Hamster has brought the second game in the series to the Switch’s eShop as part of its ACA series, and it’s a wonderful addition to the library; Magical Drop II is a true classic, and a must-play for puzzle game fans. It may be a match-three puzzler at heart, but Magical Drop II is quite a bit more action-oriented than most. 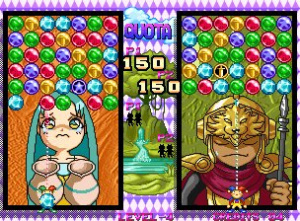 Its main Story mode is a competitive campaign against CPU opponents, where both combatants have their own board arranged with multicoloured orbs. New rows of orbs push the stack down from the top every so often, and if any orbs pass the bottom, it’s game over. The goal, then, is simple: clear away orbs by sending up matching ones from below, and stay alive longer than your opponent. Rather than being dealt specific combination of colours to do so, however, you actually have semi-full run of the field. You control a small jester at the bottom of the screen, and you can pull down orbs with one button, and send them back up with another. You can carry an unlimited number of like-coloured orbs at a time, and throwing them back up so that three or more of the same colour are stacked vertically will clear all touching orbs of the same colour. Special chips occasionally appear which, if popped, will clear all orbs of a certain colour from the board, and you’ll also come across wildcard spheres and non-combining gems, all of which add to the fast-paced decision-making in play. It’s engaging and exciting in the way that best puzzle games are, but two things in particular make Magical Drop one of the most frantically fun examples of the match-three conceit we’ve ever played. First, the freedom to rearrange the board means you’ll constantly be moving back and forth, trying to pull down as many reds, yellows, greens or blues as you can, while eyeing up potential pops. Second, there’s an appreciable delay in the combo system that rewards quick reflexes. Unlike Puyo Puyo or Tetris Attack, where you’ll need to pre-plan combos to let them ‘fall into place’, Magical Drop gives you a split-second window to chain matches as part of a combo even if they aren’t a direct result of the previous pop. In other words, if you’re quick enough to keep up, you can rack up some serious chains on reflexes alone, and the thrill of stringing together a five- or six-chain by the seat of your pants is nothing short of exhilarating. As you’d expect, combos will push your opponents’ orbs down their board — in distinct patterns based on which character you’re playing as — and if you (or the computer!) gets a lucky setup, matches can be over in a flash. Relatedly, it’s worth noting that on its default difficulty, Magical Drop II is almost soul-crushingly hard — the AI is ruthless, and it will take some serious skill, luck, and credit-feeding to see the staff roll. We definitely recommend dialing it back to an easier setting to get the hang of things, and working your way back up from there. Even if Magical Drop is happy to grind you down with its difficulty, it’s determined to leave you with a smile on your face as it does, and its hyper-sunny atmosphere is a big part of the game’s appeal. 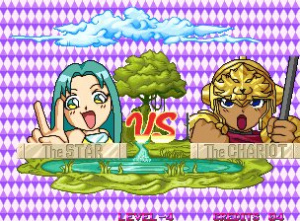 We love the colourful presentation, the fun characters (each based on tarot arcana) who fill the playing field behind your orbs and react to your performance, and the cute chibi sprites that visualize the matchup before each round. Magical Drop’s music deserves a special mention as well — the soundtrack collects a variety of catchy character themes, and easily stands with Puzzle Bobble’s and Tetris Attack’s as some of the most memorable music in puzzle gaming. 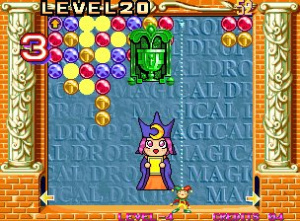 Apart from the Story mode, Magical Drop II also features two-player Versus (absolutely brilliant with a similarly-skilled friend) as well as an Endless option, which gives you a wider board, wraparound warp doors on either side, and a steady stream of combo-friendly orb patterns to pop your way through. Endless Magical Drop a blast, and just as quick-paced as the versus play, with the added bonus of the game’s catchiest earworm as background music. This ACA release is also an excellent example of why Hamster includes both the Japanese and International versions of games in the series. The Japanese version of Magical Drop II includes a third play type not available in the International cartridge: a Puzzle-style mode with pre-set levels that give you a time limit and task you with clearing out increasingly intricate set-pieces of orb arrangements. It’s a nice change of pace from the other options, and its inclusion here adds a lot of legs to the experience, which could otherwise feel a bit bare-bones — as awesome as those bones are! — as in the Western Wii Virtual Console release. The Japanese version also features individual voices and endings for each character in Story mode, so if you’re willing to brave a bit of hiragana (and a very low language barrier), we’d recommend it as the default. Elsewhere, Magical Drop II on the Switch benefits from all the other advantages of Hamster’s ACA emulation wrapper, with Hi-Score and Caravan modes, online rankings, and button and screen filtering options galore. The control options on offer work wonderfully as well; single Joy-Cons are perfect for portable versus play, with the short sticks nearly recalling the Neo Geo Pocket Colour’s clicky pad, and this is one of the few retro games we’d say really benefits from the separated D-Pad buttons of the Joy-Con grip configuration — the constant clicking of moving back and forth across the board is effortless and smooth, with no danger of rocking in the wrong direction. Magical Drop II is a fantastic, fast-paced puzzle game that feels right at home on the Switch, and an easy recommendation for any puzzle game fan. 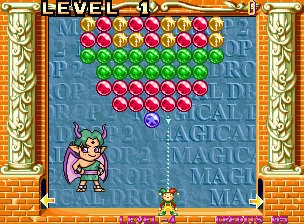 Its unique combo system emphasizes speed and reflexes as much as pre-planning, meaning even those among us who struggle to think through a three-chain in Puyo Puyo can experience the thrill of combo-building in Magical Drop — as long as your thumbs can keep up. The inclusion of the original Japanese version — with its extra mode and voice acting — is icing on the cake; this is a must-play puzzle package. More puzzle games for Switch is good when playing on the go. I'm pleased this one is decent. Soon, Magical Drop III will be next. Magical Drop is great, but Money Puzzle Exchanger is the best variant IMHO. Wonder if that'll ever hit Switch. I remember playing this game on NeoGeo, really good. 8/10 is fair. Magical Drop II is okay, but Magical Drop III adds manual stack dropping and more characters, making it obsolete. Wonder why they're taking their time releasing it. @zipmon Nice review! I would have otherwise dismissed this as a Puyo Puyo or Bust-a-Move title. Now this is on my radar as a future download. I can't wait for Bubble Bobble! "this is one of the few retro games we’d say really benefits from the separated D-Pad buttons of the Joy-Con grip configuration"
This^^ is what will make the Switch port the best port. I remember back in the day I almost sprained my forearm trying to move as fast as I can on the arcade machine. 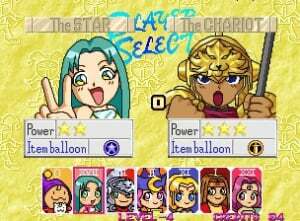 Magical Drop versus matches were no joke! That said, though, I'll wait for Magical Drop III. There's just more characters and content in there on basically the same game. And the characters' stories aren't anything to write home about. What I really wanna see is Money Idol Exchanger drop (pun!) sometime this year. The extra layer of thought process in converting Yen to larger coins just builds wonderfully on Magical Drop's style of play. Good!, However, all their IPs are owned by many companies, and that will be a "challenge" that those games, in first place, can be licensed to any good publisher again. Is it worth getting this if you have Puyo Puyo Tetris? @bert0503 IMO totally! It's so fast paced that for me it scratches a diff puzzle itch, so I love having them both on the system!